Roth DBT-001 review | What Hi-Fi? 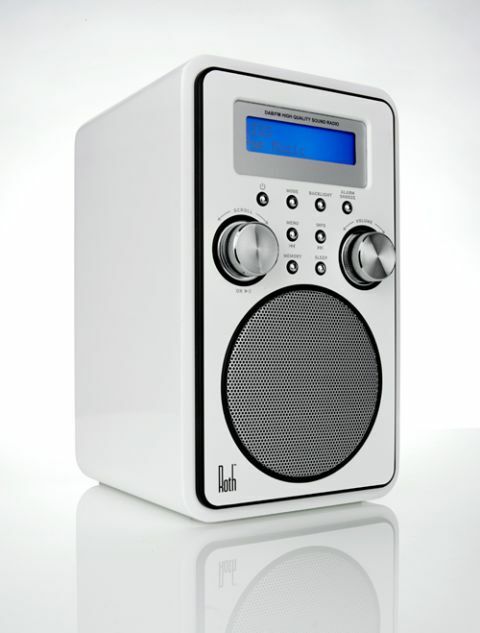 On paper, the Roth DBT-001 DAB radio has much going for it. It has FM and DAB+ tuners as well as an auxiliary input, headphone socket and an alarm function – and, quite unusually for a radio of around £100, it will accept a Bluetooth signal for streaming from a laptop or smart device. The DBT-001 is a solid unit with a number of buttons and dials on its face. In this regard it bucks a fairly consistent trend of ‘less is more’ among many radio rivals – but those buttons ought to help with simplicity of use. There’s no battery, so you’ll need to have this unit near a power socket. Its aerial is the familiar adjustable metal telescopic wand. When you turn the unit on it is a fairly simple task to go through the initial set-up process. Just hit the stand-by button to power up and it goes into autotune mode in DAB. That process will set the time on the clock as well. To listen to FM you just toggle through the options on the ‘mode’ button, and push another button to start the autotune process. For Bluetooth, toggle through to the appropriate setting and the radio will go into receiving mode. Search on your device and the Roth comes up as ‘BT speaker’. It’s an easy enough process, and we didn’t have a problem connecting. In use, however, it struggles a little in comparison with some price rivals. Its tuners don’t pick up signals as well as many other devices – and it suffers from signal loss and breakdown more than many other radios we’ve tested. Get it in the right place and it’s fine, so this shouldn’t be a deal breaker if you live in an area with decent reception – but if it’s a little flaky, the Roth struggles a bit compared with, say, the Pure Evoke D2. For general listening, this is a decent radio, and it’s fairly easy to use. It has a smooth sound that works best with the human voice, but that midrange ability in turn means that instruments and deeper notes can sound a little closed-in. It goes louder than most, but with any great increase in volume comes a certain stridency that makes extended listening uncomfortable. Switching to Bluetooth, we found the sound too thin and weedy to be listenable for long. It’s fine for a bit of background listening, but we wouldn’t be too happy with an extended session. We’d stick to the tuners as much as possible. The DBT-001 is a perfectly serviceable radio, but it’s not particularly special in any area. Its overall sound is a little closed-in, and while having Bluetooth is, on paper at least, a decent benefit, we found the sound unsatisfying when using the wireless technology. This is a decent, but not a great radio – and there are others out there that do better for the money.